Has DiscoDSP created something intoxicating with Corona 5? 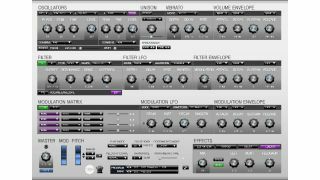 DiscoDSP's Corona virtual analogue/wave synthesizer has matured nicely over the years, and further refinements are evident in the newly-released version 5. A rewritten graphics engine means that the GUI can now be viewed at multiple sizes (75%, 100%, 150% and 200%), and there's a new LP303 filter type. There are also two new distortion types (S&H Clip and S&H Asymmetric) and the sound quality has been optimised. Corona 5 is available to buy now from the DiscoDSP website in 32/64-bit VST/AU formats for Mac and PC. It's priced at $109/€95, though existing users can update for free, and a demo is also available.